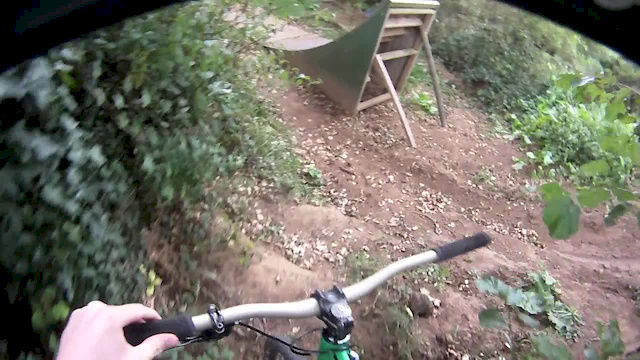 Riding bikes is my life and I love it! I wish the yanks could try our system for a year. We still get to play with guns it's just very tightly controlled which is great because it's not that big of a hassle to get a FAC provided you meet the requirements. Plus it's reassuring to know that the local turd with the all matching tracksuit and fashionable anklet wouldn't have a chance a getting one. Something that annoy's me about the states is that terrorists are seen to be a big threat where you are more likely to be shot by your own child that's picked up your gun. Also along those lines.. from the statistics available online the US doesn't actually have a crime or mental health problem it's just that those things become a lot more lethal when everyone has easy access to guns. Guns usually rule out the option for a second chance. Brand new Lapierre Zesty AM827 frame just built up but never ridden. 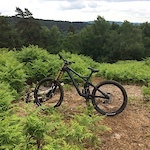 Frame: 2017 Lapierre Zesty AM827 Shock: Rockshox Monarch RT3 Debon Air (I bought this secondhand as the frame didn't come with a shock, there is a tiny scratch on the damper body but I'm assured it isn't a problem, I did look at getting a replacement and they are £30 - £50) Bottom Bracket: Sram GXP Headset: Cane Creek Any questions just ask, cheers! Posted in "2017 Lapierre Zesty AM 527 Shock Size?" 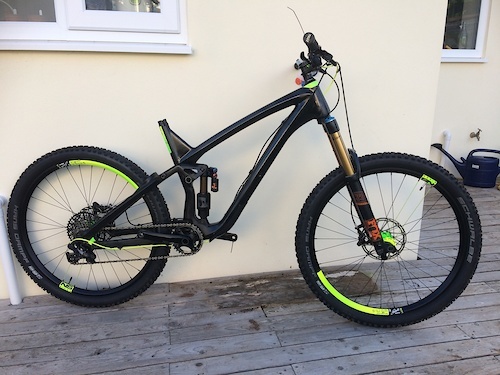 NS Snabb Carbon 2016 model new in June 2016 Size large Ex team bike, very well looked after. Fox float X2 shock, rebuilt under warranty with the new air can in summer 2016, giving 167mm of travel. Fox 36 RC2 with a custom mojo modification which sets them to 165mm travel with a larger negative chamber giving more small bump sensitivity, these really are phenomenal forks! Just had a lower strip down, clean and re lube. Opinion - It Should Be Hard, Shouldn't it?